Leigh Day, lawyers for Campaign Against Arms Trade, are exploring legal action over strong evidence of Saudi war crimes being committed in Yemen, while the Government has scrapped its committee on arms export controls. The MoD has made a separate complaint against Leigh Day’s representation of tortured and murdered detainees in Iraq. The sale of UK arms to countries like Saudi Arabia has gone without scrutiny for almost nine months after a key parliamentary oversight committee mysteriously disappeared. MPs and human rights campaigners say they have become increasingly concerned that the committee on arms export controls (CAEC) was not reinstated when the Tory government was elected in May 2015. Since 1985, the UK has supplied Saudi Arabia with massive orders for military aircraft, helicopters, tanks and ammunition, mostly built and supplied by BAE Systems and involving £6 billion of "commissions". In order to finance the deal, which was the largest arms deal in UK history, the Saudi’s agreed to supply 600,000 barrels (95,000 m3) of crude oil per day to the British government, and particularly to BP and Royal Dutch Shell oil companies. 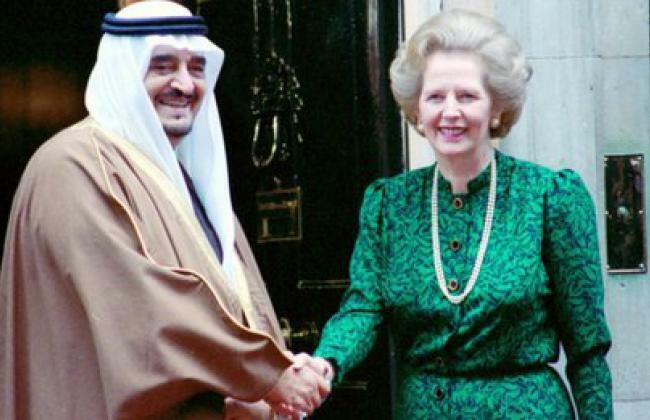 The success of the Al-Yamamah contract, worth more than £43 billion, was attributed to Margaret Thatcher who lobbied hard for the deal. Prince Bandar, son of Prince Sultan, the Saudi Defence Minister also played a key role in negotiations. According to the reports, the deal brought more than $30 million to Bandar’s dollar account at Riggs Bank in Washington. “UK fighter jets and UK bombs have been central to the humanitarian catastrophe being unleashed on the people of Yemen. Thousands have died and essential infrastructure, including hospitals, has been destroyed. BAE Systems paid more than £250m to the US, which accused BAE of "wilfully misleading" it over payments made as the firm tried to win contracts. The defence group also paid about £30m in the UK - a record criminal corporate fine - for separate wrongdoings. * Update 10 January 2016: "Lawyers for CAAT have given the government 14 days to suspend licences allowing the export of military equipment to Saudi Arabia, pending the outcome of a review of its obligations under EU law and its own licensing criteria. A failure to comply would see proceedings against the government, which would force it to explain in the high court what steps it has taken to ensure that UK military hardware is not being used in breach of international law."